"Located only 21 light years away, GJ 625 is an M-dwarf star (spectral type M2) about three time the size and mass of the sun." Huh? 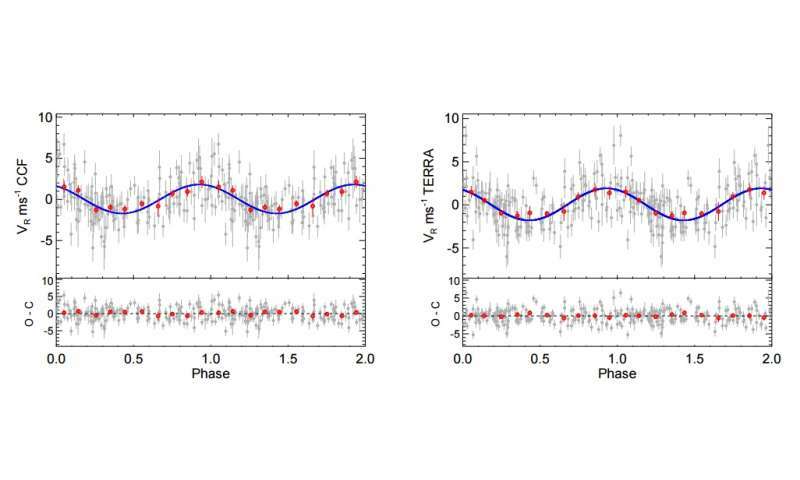 A red dwarf star of three solar masses? 14 day orbital period, 0.08 Au, most likely a moon orbiting a planet. Giving the planet's expected surface temperature in degrees Kelvin is a bit misleading. 350K - 273.15 = 76.85°C (Or 170 degrees Fahrenheit if you prefer.) Humans might be able to live near the poles, but if there is enough water to make it habitable, rainfall near the equator would probably make living there impossible. Of course, mountains near the equator, or (desert) areas downwind of mountain ranges might be habitable as well.